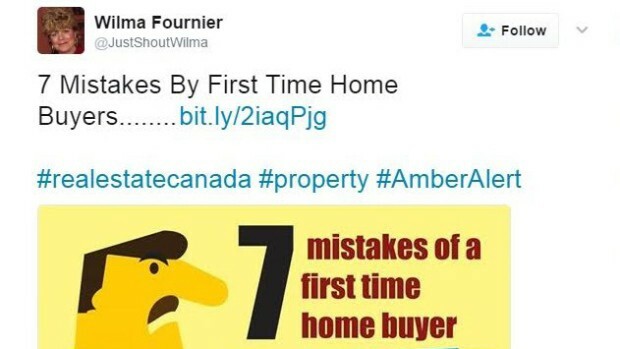 Two Ontario Realtors are embarrassed this weekend because of some inappropriate tweets. The offending tweets used the #AmberAlert hashtag along with promotional messages. On Friday morning, an Amber Alert was issued after a 4-year-old Toronto girl went missing. News outlets began using the Amber Alert hashtag and it was soon trending on Twitter. These tweets went out approximately two hours before the young child was found safe. The Realtors quickly began receiving criticism for their decision to use the Amber Alert hashtag. The realtors deleted the tweets and blamed them on a third party who manages their social media. The Real Estate Council of Ontario – which oversees about 75,000 real estate agents – received at least two complaints about the postings. The Real Estate Council’s investigation will look into how this happened. If the Realtors are found to be in the wrong, they could face a warning or a more severe fine. While other brand’s attempts on capitalizing on trending hashtags have been embarrassing, Friday’s case was much more serious. One of the Realtor’s tweets advertised an open house. That could’ve been misinterpreted as the house being involved with the child’s disappearance. The Realtors were using a marketing agency, Rayman Solutions, to manage their Twitter postings. This is pretty common as many Realtors operate out of small, local offices and don’t have the capacity to manage social media themselves. It appears that Friday’s tweets went out without Hulst and Fournier seeing and approving the messages. It’s not known whether the team at Rayman Solutions was aware of the implications of hijacking a hashtag. Or how serious it was to tag-jack one such as the Amber Albert. When it comes to social media management, it’s not as simple as knowing the tools and being able to schedule posts. You need to understand the audiences on each platform and the nuances of each social network. These Realtors are learning how important it is to pick the right agency to represent them online. Are you looking for help with your business’ social media strategy? Let’s talk.